Welcome to your second home. We are dedicated to helping you develop and grow a personal relationship with Jesus Christ through the ministry of the Catholic Church. Regardless of where you are on your faith journey, we welcome you to become part of our vibrant and active Seton Parish family. Through service, faith formation, worship, and joy we are committed to making a difference in both our community and the spiritual lives of our parishioners. From an eighteen-acre field purchased nearly forty years ago to a bustling parish of over 2,500 families, Seton Parish has continued to grow and adapt to serve the needs of the Catholic community of Pickerington, Ohio. Seton Parish is a mission-focused church, caring for the poor of our community while also strengthening the faith of all who come through our doors. We offer countless ways for you to both benefit and serve through our many ministries. Saturday: 3:30 p.m. - 4:15 p.m.
We are excited to announce that we will be showing "The Mass" series with Bishop Barron on Tuesday mornings and Thursday evenings in Herrmann Hall. Seton Parish is very proud to be the host parish for this year's Gospel Road. We are looking for high school teens to be part of this incredible mission to serve the Pickerington and surrounding communities while at the same time building relationships and having fun. The Judith A. Jones Memorial Scholarship form is now available for any graduating high school senior that will be attending college next school year. Completed forms are due into the parish office by Friday, May 3 at 4:00 p.m. Registration is now open for our 2019 VBS program called "Roar - Life is Wild, God is Good". It will be held June 10-14, 2019. Registration is due by May 26, 2019. Our periodic electronic newsletter is the easiest way to keep up to date on all the latest happenings around Seton Parish. Our youth reflected on the passion and death of Jesus. 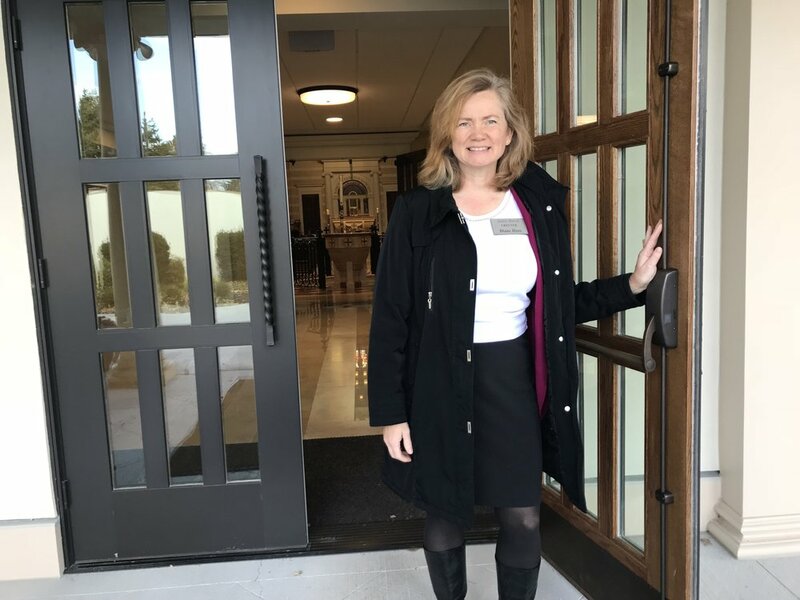 Our 2019 parish mission with Judith Dunlap.